Research indicates that less than 20 percent of all eighth graders read for fun on a regular basis. Want reading to be more than fundamental again? Embrace summer reading. 1. Let your child select the titles. The biggest mistake parents make is pushing an agenda – more classics, less comics. According to Donnalyn Miller, author of The Book Whisperer, “The important thing is that children are reading and developing a love of reading.” Make reading more fun by expanding your definition to include everything from magazines to audio books. Parents ask me all the time for book recommendations – for themselves, for their kids – but my 12 year old daughter and I have different tastes. I let her join Goodreads, which is a “social cataloguing” website where members rate books and receive recommendations. We not only keep track of books we’ve read but also those we want to read. With Goodreads we never run out of personalized ideas, and thanks to various privacy settings, I don’t have to worry about her exploring the wonderful world of books. According to Scholastic, “Nearly one in four parents of children ages 6–17 (23%) stopped reading aloud to their children before age 9…yet many children ages 6–11 (40%) did not want their parents to stop reading aloud to them.” I continue to read to my daughters, ages 9 and 12, because I can expose them to unique titles and topics. Therefore, my go-to baby shower gift is The Read Aloud Handbook by Jim Trelease because it’s a fabulous resource that takes families from wordless picture books to full-length novels. BEST Books for Boys Jackie at Happy Hooligans does a great job of not only categorizing and annotating the books but explaining what they gained by reading together nightly. is another great resource. This book is loaded not only with discussion questions for the recommended books but also suggested multi-media materials, such as films, websites, and interactive activities. You don’t need to start a formal book club to reap its benefits. 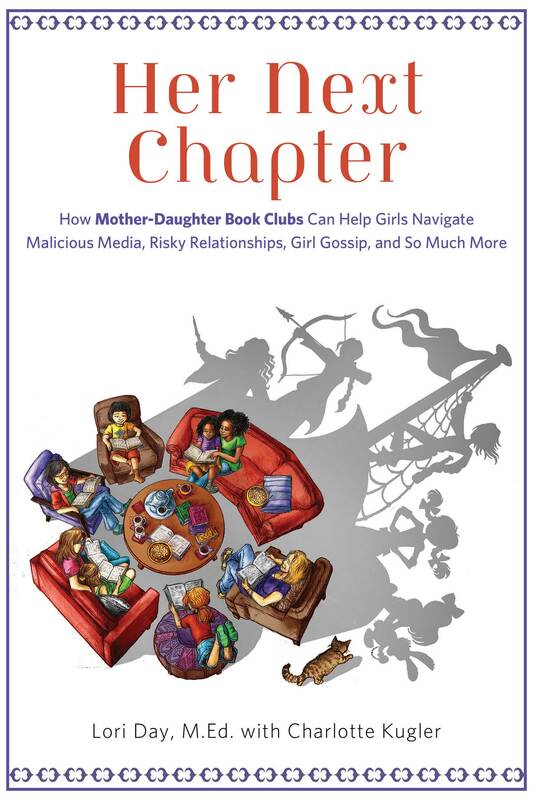 This title tackles the 8 biggest issues facing girls. You can talk about them in the car or at the dinner table. I lent it to a friend, who said it sparked the best conversations she’s ever had with her daughter. From mean girls to dating boys, they safely broached uncomfortable topics. My friend was so grateful. She couldn’t thank me enough. 4. Be a reader role model. The reality is that your kids are more inclined to enjoy books if they see you doing the same. I read on average 50 books a year, and I make it a point of talking about books on a regular basis. There’s no way that when my kids are grown that they will ever doubt the value I place on literacy. Wish you read more? Pick something you enjoy. Maybe, you like parenting books. Then, check out my list of favorite titles. Want to learn some thing new? Kirkus has nominated the best nonfiction books of 2015. Great books change lives so why should your kids have all the fun? Visit your local library so you can all start your summer reading. Follow @ParentbytheBook on Twitter for updates on blog posts or like Parenting by the Book on Facebook.